former National Chairman of the Throws for the USATF Coaching Education and was named a USATF Master Coach in 2002; has coached over 100 All-Americans and 8 OlympiansIn this outstanding track and field DVD, nationally recognized throwing coach Larry Judge doesn’t just teach the shot put, he teaches you how to teach the shot put to your athletes! Much more than just a collection of drills, Coach Judge takes the shot event step-by-step and analyzes not only movements, but coaching points, cues and ways to teach your athlete the proper movements to throw the shot far consistently. 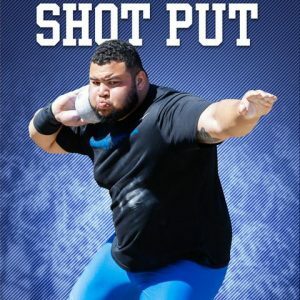 Creating an “academic approach”, which Coach Judge feels is lacking in all other forms of shot put literature on the market, this video uses a prescribed easy to follow set of 20 lessons to teach the event. 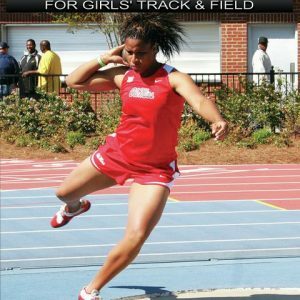 The video focuses on taking the beginning coach/athlete through all of the steps needed to succeed in learning to throw the shot. With the help of live demonstrations by both male and female athletes using both right and left hands, each drill is shown numerous times and with various demonstrators to completely cover the drill in its entirety. With over 100 step-by-step drills and detailed explanations, dynamic movements and complex motions are now easy to teach, and Coach Judge does an outstanding job of both breaking down the event and putting it all together to start teaching/throwing the shot put. Beginning with Medicine Ball Drills and progressing all the way through Special Throwing Strength Drills, this video is one of the most complete ‘teaching’ videos on the market. This is a video that is an absolute necessity for a coach who is either learning the event or working with young or beginning athletes. Veteran coaches and advanced athletes will benefit from Coach Judge’s outstanding analysis of the event’s movements. This video is an absolutely dynamic teaching tool for both athlete and coach! With this ‘Educational Approach’, it is easy to understand why Coach Judge is looked upon as one of the premier throwing coaches in the country. 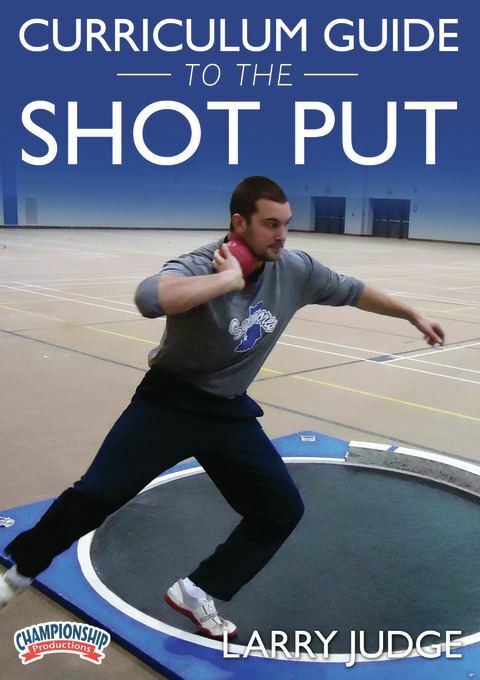 With it’s easy to understand and descriptive detail, The Curriculum Guide to the Shot Put allows you a deeper understanding of the shot put, while allowing you to simplify the event for your athletes!